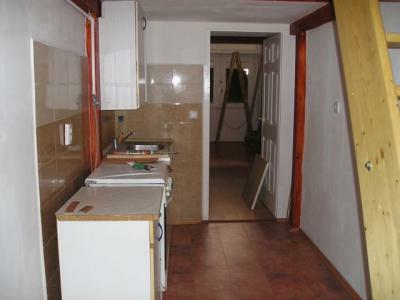 There is a flat for sale in the 7th district, in the Marek József utca (close to Dózsa György út). It is located on the ground floor. It is 23, 5 nm + has 2 gallery (they are 16 nm together). The flat is fully renovated. Its height is 5 meter. The building is also renovated, the cables and pipes has been changed. The bathroom is on the gallery, it is fully built out. On the other gallery it is prepared for. The building gave an authorization that the front window, which looks to the street, can be change to a door. So it is perfect for a shop, and the flat can be separated to two places, so the inner place can be a home, and the other can be a shop. Or it can be two separated home also, with a small modification. The public transport is excellent. Trolley-buses stop in the corner, the Arena Plaza is 2 minutes far, and the Keleti pályaudvar (railway station) is 5 minutes far by walk.